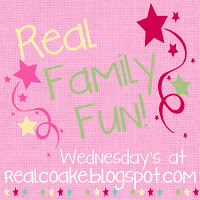 Welcome back for another round of a few of the fantastic posts that linked up at Real Family Fun #6. Since I can't think of anything fun or witty to say or share with you today, let's just get right to the fun links I'm featuring today. 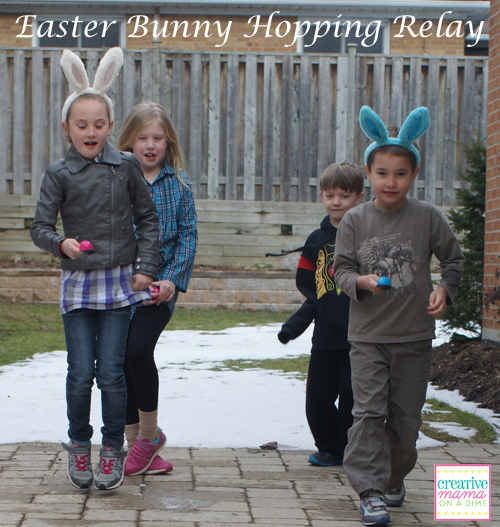 I love this idea for an Easter Bunny Hopping Relay from Creative Mama on a Dime. It looks like so much fun. Something my girls and our whole family would enjoy. Next we have an organizing and decorating idea for you. 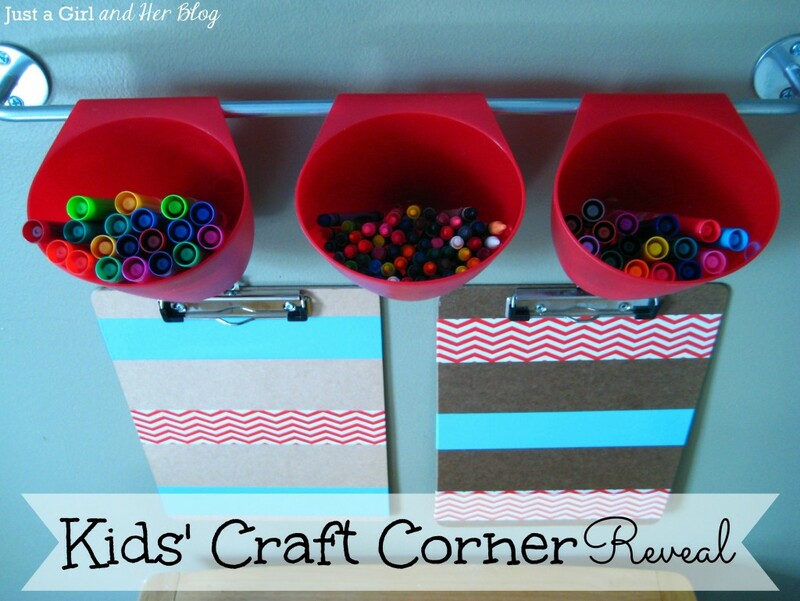 Next up is Just a Girl and Her Blog with this great Kids' Craft Corner Reveal. She came up with some great idea to organize the crafts her son likes to do. I know at our house our crafts supplies get tons of use and keeping them organized can be a challenge. If your house is the same, check out her post for some ideas. I love this adorable Spring Burlap and Button Banner from Ribbons and Glue. So stinking cute! She used a banner she found on clearance last year after Easter and embellished it. Made me think I could do the same thing to cute up an Egg Banner I bought there last year as well. 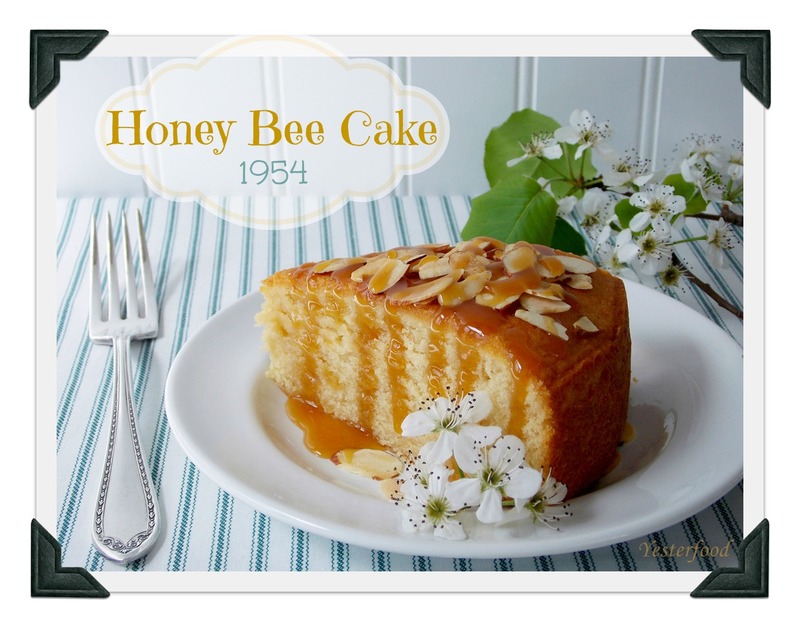 I love this classic recipe for Honey Bee Cake from Yesterfood. Isn't it so pretty and delicious looking? It makes my mouth water just looking at it. 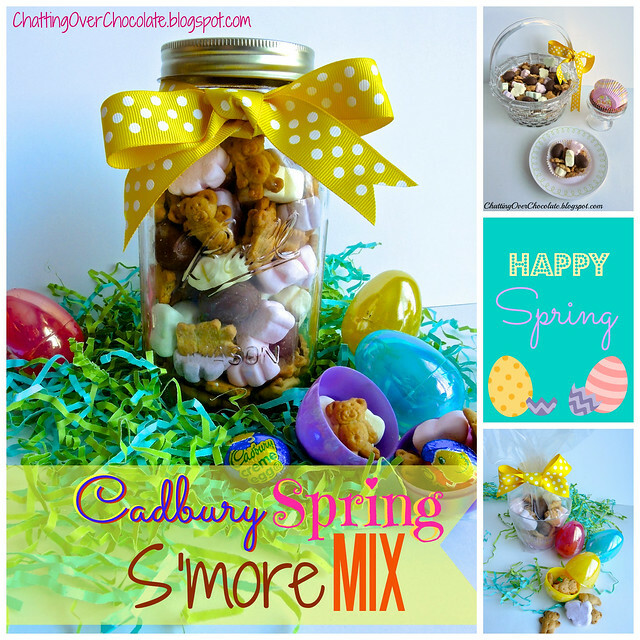 This Cadbury Spring S'more Mix from Chatting Over Chocolate is so cute and looks so yummy! She has some great ideas for ways to share the mix. Wonder if the Easter Bunny ever fills baskets with yummy things like this? I must be hungry since my last 3 features are food! I loved these Nutty Caramel Bars from Six Sisters Stuff. They look so yummy and they don't have peanuts in them!! Yippee! So many bars like this are peanuts and chocolate. 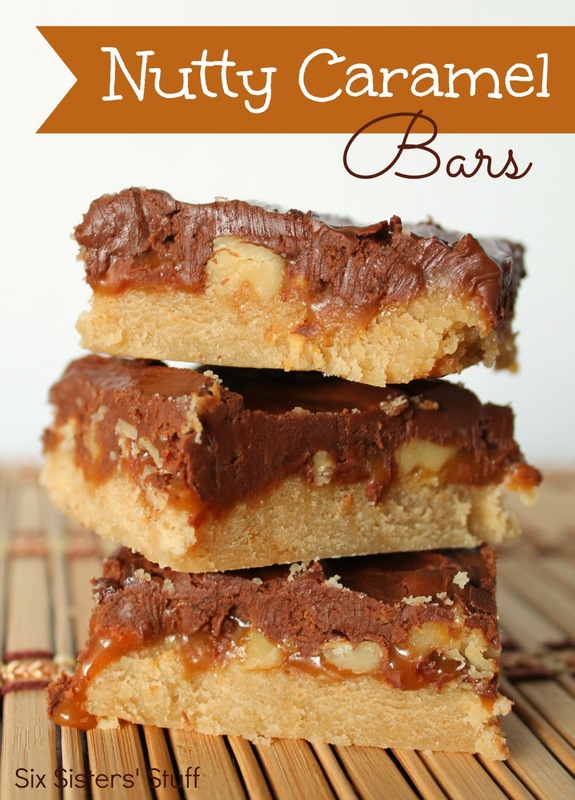 I have a peanut allergy, so these just might become a staple around my house to satisfy my want for something with chocolate and nuts. You are welcome! I’ve got my eye on a couple of things as well, but I’m not an early bird…so I usually lose out. Have fun getting your finds, hope you are successful. 🙂 So glad I could make your day! Your Cadbury Mix looks so cute and so delicious! You are welcome! I can’t wait to try them. I’m short one ingredient and forgot to put it on the list…so I have to wait a little longer. Hope your Easter is fantastic! You are the sweetest, KC! 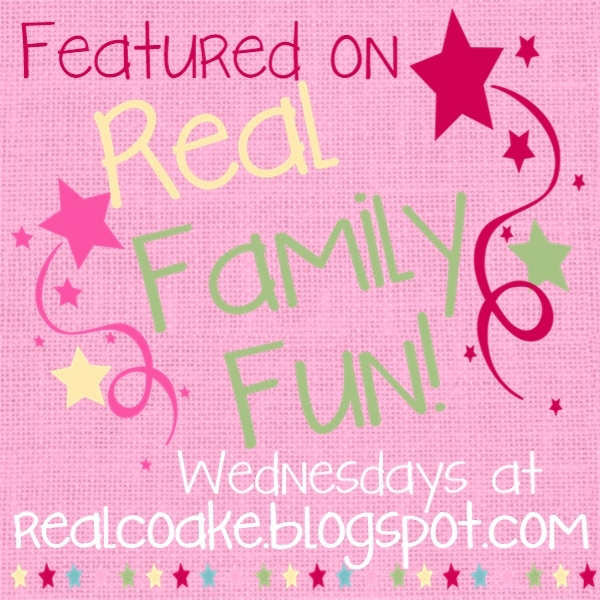 Thank you so much for featuring my son’s craft area and ALL these great projects! Hope you’re having a wonderful week! You are welcome! I love what you did with the craft area! You have a great week as well.